My career keeps me very busy…much too busy to do much acting or designing any more. I’ve instead focused my creative energies into creating garments that follow (as closely as I am able) historically accurate 18th- and 19th-century designs. I recently attended a weekend workshop and needed to bring my sewing materials with me. I’m a follower of the dictum, “A place for everything and everything in its place.” At home, this is simply a matter of putting things into the box, bin, or basket I’ve assigned for it. Traveling with my gear was bound to be trickier, but I expect to do a bit of it as I continue in this hobby so I decided that what I needed was a Nécessaire du Voyage. Chatelaine with Etui, Made in England, c. 1760-1765. Philadelphia Museum of Art. You’ll notice the term used here is Etui. The two terms are often used interchangeably, but Etui seems the more appropriate term for a smaller case. However, you will just as often find the use of Nécessaire for these small cases, especially when the tools enclosed are sewing implements. Oftentimes, a Nécessaire du Voyage is a box or leather case with spaces for containers, drawers, or other storage devices for items needed when traveling. Antique Tortoiseshell Necessaire Etui, c. 1825, Hampton Antiques. This is a small sewing nécessaire, likely no more than 8″-9″ long. Others are rather more impressive. The case above is just about 18″ x 12″ x 6 1/2″. It contains all the accoutrement for tea for two, combing and styling one’s hair, sewing, and writing. The center portion with the spoons lifts up to reveal two more trays of items! My nécessaire only needed to be large enough to hold my sewing tools. Since I wanted it to hold my tools, I knew I needed to make mine myself (not that they are readily available otherwise). Since I’ve not been able to study more than one or two of the smallest cases personally, I decided to make mine out of modern materials and treat it like an experiment. At some point, I’ll hunt down an antique box and do more in-depth research, but for now, I just needed to get the thing done and ready for the event just two weeks away. I know a lot of people get frustrated with creative types because they don’t understand how we can come up with some of the things that we do. I always try to explain that part of it is applying experience from one project to another that may be completely unrelated. It’s also a willingness to try things and make mistakes. To that end, I will be sharing my failed attempts, of which there were several. I began by trying to think of what they used to create the custom formed holders for everything from scissors to spoons. In this period, the options would most likely be carving out wood, sculpting papier mache, or perhaps some kind of heavy paper board. My tiny apartment doesn’t leave me much room for woodworking, but that seemed to me like a highly likely option since it is rugged, easily carved (depending on variety), and readily available. I decided to use foam as my wood substitute. Friday after work, I headed to the craft store. At first, I got the type of foam that’s used in upholstery. I know this type of foam is easy to cut with an electric meat carver and you can also hack at it with scissors. I went to an art and craft store and bought the foam, a wood box, and some other small pieces of hobby wood. I began by laying out those materials and all the things I wanted to carry in the case. The first thing I realized was that my box was smaller than I had hoped. The second thing I realized is that the awl that I got from my toolbox was too big (especially the handle). I thought I’d see if I could develop a layout that would accommodate all the rest. I drew a rectangle the size of the interior dimensions of the box on a large piece of paper and marked off a half inch border to keep from getting too close to the edge. I liked the balance of this arrangement and felt comfortable moving on. I traced each item onto the paper, using the width of the marker to give me a little wiggle room for the lining. I wasn’t happy with my symmetry on the four silver containers so I picked the tracing I liked most, folded the paper in half, and copied the good tracing onto the other side. Once I did that, I covered the paper both front and back with clear packing tape to give it a little more body. I then cut each opening out with a blade on my self-healing cutting mat. I thought the template turned out rather well and turned my attention to making the tray that would sit on top of the base layer. I really had hoped to find a piece of model-making wood that would be thin but not too thin and wide enough to fill the whole box. Alas, I was unable to find this so I had to settle for a piece that’s narrower than the box. I purchased a 1/2″ square dowel and cut it down to size. I mitered the corners in order to get nice clean edges. I realized I needn’t have bothered after I’d done all the work because I was going to cover the tray with fabric. My approach to the carving was meant to be additive and subtractive at the same time. I intended to cut out openings for everything from the top layer of foam, then cut out only the taller items from the bottom layer. I traced the template onto the cushion foam and got out the electric meat carver (along with some polystyrene foam) I’d just bought at the store. And then…I made a mess. The foam cushion was too narrow for the carver to really move through it smoothly. No matter, I thought, the rough edges could be smoothed over when I covered the whole thing with the fabric. Then I started using my craft knife to cut into the foam. I started with the smaller implements at the top and very quickly discovered that the foam had no structural integrity when making several cuts in a small space. I ended up with pieces of it flapping everywhere. I knew, covered in fabric or not, that this was just going to fall apart when I tried to use it. I knew I needed a foam with more density but I didn’t have a good source for the really dense upholstery foam and decided I would need to give the rigid foam a go. The block I had purchased was 2″ thick. I had seen a melter/cutter tool at the craft store, but I didn’t want to pay $30 for a tool I’ll likely never use again, so I skipped it. Using my craft knife and a box cutter, I attempted to carve the shapes into the foam block. I eventually realized that heat really would be useful, so I was using a lighter to heat the craft knife’s blade, then running it through the foam until it cooled down again and got stuck. The melt was unpredictable and I was struggling to get smooth lines when it took 10-12 heatings to cut out one shape. It turned out..well, see for yourself. I couldn’t get a nice flat bottom to the partial-depth pieces because I had no way of sliding my knife in the material but parallel to the surface. It looked terrible and I knew a little bit of fabric wasn’t going to fix it. So I sighed and do what I always do when I reach an impasse. I set it aside and decided to come back to it later. In order to keep the project progressing, I decided to do something I thought I’d be able to actually do fairly well because I’ve done it before. I, therefore, turned my attention to the box. This box is a cheap basswood hinge-lidded box from the craft store. The box is glued together with wood glue, which works just fine until you drop the box on the corner and the whole thing splits apart. I speak from experience on this point. I decided the first thing to do was reinforce the box. Using some small brass nails I already had in my toolbox, I set a series of nails up along each side of the box and the lid, doing my best not to come out of either side. This particular box was tricky because the corners were mitered and then chamfered so there was very little material to put the nail into. I worked slowly and meticulously and managed to do a pretty good job at it. Then I needed to stain the piece. Well, I don’t have the right shade of stain for what I want. Oops, forgot to pick some up at the store when I bought the other supplies. What to do? What to do? I went into my painting box and pulled out a couple of colors of oil paint. I knew I wanted a very red-toned stain finish. So I pulled out my pallet knife, squeezed out some colors and got to mixing. I used a scrap piece of the wood I had used to make the tray with and brushed a little bit of the paint on it to see what I had (bottom area). It was a little too red so I mixed some burnt umber into the paint and painted a second swatch. That’s the color I was looking for! As you can see, I was applying the paint in a very thin coat, just enough to get the color onto the surface, not enough to hide the wood grain. I could wipe any excess off with a towel as well, but I didn’t want to touch the surface too much so I tried as much as possible to dry-brush the paint on. I’ve done this technique before with acrylic paint (house paint) and, as long as you dry brush and wipe any thick areas quickly (because acrylic dries so fast), it does a beautiful job. Happy with my color, I set up my box on jimmy-rigged supports and got to work dry-brushing. Oil paint takes some time to set, so I knew I needed to leave it alone for at least a few days. This was fine since it was Sunday night by this point and I had to work all week and may not have the time or energy to do much more on this project during the week. I came back to the project on Friday night and, sure enough, the oil paint was set. I had painted right over the nails I had added to the box, so I used a rubbed bronze acrylic craft paint to delicately paint the head of each nail. I did the same with the hinges. That sets pretty quickly so I was able to cover the whole box in polyurethane that night. On Sunday night, I gave that coat very gentle sanding, then wiped it down and gave it a second coat of poly. This gave a nice shine to the box and protected my hacked stain and the bronze details from the eventual wear and tear the box will see. I had picked up two 1″ pieces of polystyrene foam during the week and a craft knife that heats up so I could melt/cut my way through the foam. I decided that the best path forward was to cut all of the shapes out of the top layer, then only cut the shapes of the deeper containers into the second layer. I would then glue the two layers together and have just what I needed. Having the special melter blade definitely helped, but I was both not perfect using the tool (of course, first time) and I somehow misaligned the two sheets of foam. I glued them together, trimmed off the excess on the edges, then carefully tried to trim off or smooth out by melting, the little bumps and misalignments between the layers. It was much better than both my first and second attempts, but still not great. I gave it some thought and grabbed some wood filler. I applied it like frosting to the inside of my shapes, then smoothed it out as best I could. The secret to working with wood putty is to touch it as little as possible. I knew I’d need to come back and do some sanding, but it did work to fill in hollow areas and give me something to glue the fabric to later. You can see my layout evolved somewhat. I decided I’ll buy a bone awl next time I see one and I carved out space for it. I decided also at this time to forego my metal ruler to clear up some space at the top. When I bought the additional foam, I also picked up some black felt fabric. I decided the black would be a sharper contrast against the color of my box than the grey fabric I had had laying around. I used it to cover the entire tray that I made early in the process. I squeezed some wood glue onto the edges, then used a foam brush to spread the glue out. I found the wood glue wasn’t absorbed as much by the wood and so it was able to create a better bond between the wood and the fabric. I also held it in place for a good minute on each surface. The wood putty had set on the foam by this time, so I used some emery boards to sand any really high spots down. I knew it didn’t have to be perfect because the felt would hide any small discrepancies. I cut a piece of felt the size of the whole base and glued it to the underside of my foam assemblage. I then cut out a piece for the top and, once again using my stencil, marked and cut out each piece from the design. I used these cutouts to line the bottom of each of the openings, then cut strips of the felt to wrap around the inside edges. In some of the extant examples, it appears this lining may be done with grosgrain ribbon and I had purchased some but decided against using it because I needed the felt to hide the discrepancies in the walls of each shape. I set the whole thing aside to dry. Most of the examples of the box-style nécessaire I’ve found have a lock, but I do not have the wherewithal to install a lock on this flimsy little box. I found one or two examples with a latch and happened to have one in my stash of stuff (cannot even fathom when I got it but it was likely at least a decade ago). I installed the hardware for the latching mechanism on to the face of the box. It attaches with screws and I didn’t want to be glaringly in your face. Screws have been around for a long time but the use of screws to mount surface hardware is not seen until very recently. I know this project isn’t HA, but I don’t want to be totally anachronistic if I take the box to an event. Besides, it bothered me. I filled the head of each screw with some wood putty. Once that dried, I painted the putty and used the same paint to fill in the background of the filigree design on the latch. I did not paint the strike because I didn’t want the paint to gum up the works. By rubbing off the paint from the high points of the latch, I was able to soften the contrast between the paint and the original finish of the assembly. At this point, I went to glue on the top layer of felt onto the foam. And the project almost met the garbage can. First, I applied the glue to the wrong side of the felt, which was a problem because of the two items that are not symmetrical. I cut another piece of felt, got the glue on the correct side, started sticking it down and it looked terrible. The felt I used to line the sides got stiff from the glue and any little piece that was proud of the surface created a bump under the felt. The felt, traced from my original template, didn’t align well with the cutouts in the foam. I was almost out of felt, frustrated, and really considered giving up on this whole project. I was also running out of time. I sighed, ripped off the felt, set the whole thing aside, and went to bed. The next day, I thought about using some thin board to give the top some support. My hope was that this would keep every little thing from being seen under the felt. It was a work day and I had no time to buy something, so I needed to find something on hand. I fell upon the idea of using the backer board from one of my large drawing pads. It’s a thin cardboard material, just enough thickness to give the top some shape. I took a piece of paper and laid it on the foam. I used a piece of chalk to trace the openings as they existed and realized I wasn’t too far off. In fact, the openings were mostly ok, the whole assemblage was slightly twisted. I used this knowledge to trace my template onto the cardboard and then set to work cutting out all the openings. I cut a piece of felt larger than the top and glued the cardboard to the felt. I set a stack of books on top of that and went to bed. The next night after work, I cut slits in the felt so that I could wrap the material around the cardboard. I glued the felt to the back side, trying to keep it even so that there was no one area with a lot of overlapping material. When I set the top onto the styrofoam base, it was brilliant! I had one or two spots where the white of the styrofoam could be seen if you looked at the whole arrangement at a certain angle so I used some matte black paint to cover those little spots up. It looked so good and slipped into the box on the first try with no problems! I was really excited to fill up the spaces with my goodies. That’s when I came to realize that using the width of my marker to trace around the items wasn’t quite enough and that I hadn’t selected a large enough circle for my thread winders. The winders can sit in their spots, but most of them have to be at an angle instead of laying flat at the bottom how I wanted. My seam ripper, bone folder, and pinking iron fit in their slots, but they are wedged in there super tight! I decided to just live with the thread winders and other items being too large for their spots since they don’t interfere with the tray being able to sit on top. I cut a little bit of the grosgrain ribbon that I had purchased for this project but didn’t use and put a small piece under each of the tight tools with the ends of the ribbon sticking out. That way I can pull on the ribbon and get the traction I need to get them out. I figure these will loosen up with time. Until they do, this works just fine. So, there we are. In the end, when I am able to do some more research on the materials used for period nécessaires, I will be able to apply this as a lesson learned and will cut the spaces a little bit bigger to account for the thickness of the felt. Until then, I have a useful nécessaire du voyage to see me off on my sewing-related travels. The decision to move to a larger city after leaving Charleston was one I made a long time ago. I’ve always preferred big cities. I like being able to use public transportation instead of having a car, I love having access to many museums and galleries, and I enjoy hearing many languages spoken as I make my way through the hustle and bustle of downtown. As I searched for a job, I concentrated on NYC, DC, Chicago, and LA. DC won the race and I am glad to be here. Starting over is always scary, but I’m enjoying the challenge. As I spent a few days in May packing my things, I knew that, regardless of which city I moved to, I would end up affording a smaller apartment than I had in Charleston. With this in mind, I seriously purged my belongings and decided to leave all of my furniture behind in South Carolina. I own a lot of books. Even after my major purge, I still have more than 500 books in my collection. I know this because I assign them each a catalog number that I put on a bookplate in the book. I keep a list of my catalog in a series of spreadsheets, organized by general category (art & architecture, biographies, etc.). I don’t even keep all the books I read, just the ones I would like to re-read, or would like to have available to lend to my friends. 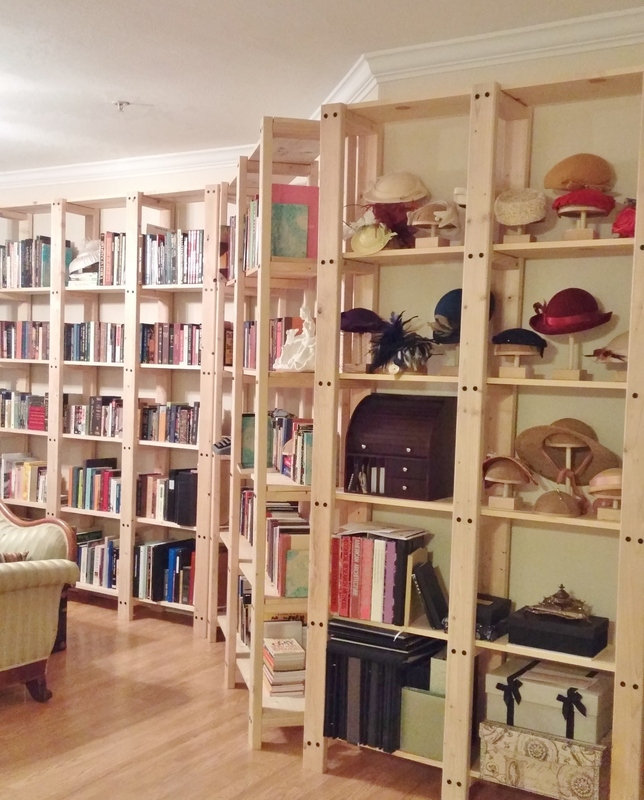 As I searched for an apartment in DC, I was looking for a place with enough wall space for me to be able to install enough bookcases for my books (also acknowledging that I will add to my collection). I settled on the Columbia Heights neighborhood, a neighborhood that was mostly Hispanic for most of the second half of the 1900’s and into the early 2000’s. Gentrification is changing the area, but I still find tías selling watermelon and mango slices on the street and families with babies that look like me, brown hair and big brown eyes. This is the apartment I found. I chose it because it has a great bank of windows facing the street, which lets in a lot of natural light during the day. The window sill is a great spot for my orchids. The kitchen is tiny, it makes me smile it’s so itty bitty. I don’t do much cooking, so it’s fine for me. The main studio space is approximately 250 square feet (there’s a walk-through closet to the bathroom and the tiny kitchen space, so the apartment is a little more than 350 sq feet overall). Other than the full-size bed that I had delivered when I moved in last week, there is no other furniture…yet. I will be bringing a drafting table from my old apartment, otherwise I have a blank slate. I’m excited to hunt for vintage pieces to create a home from this little space, and to build some new shelves to accommodate my books. I love a good challenge! Let’s see what this blank canvas becomes! Hello world! I made it through graduate school, landed a great job and moved to DC! It’s time to get blogging again. The degree I just completed is a Master of Science in Historic Preservation. Basically, I work to document, save, and reuse historic buildings and sites. This means visitors to Let us be sweethearts will get to see cool pictures of old places. Some will be restored to their glory days and others will be in need of some love. The best part is…I get to share cool pictures with you! First up, the Nathaniel Russell House in Charleston, SC. This house is owned by the Historic Charleston Foundation and you can pay for a docent-led tour. Check out HCF’s website for more information about the house and some lovely overall views of the rooms. It has been mostly restored, although that is an ongoing process. These are some of my favorite details in the house. Enjoy! This is a reproduction floor cloth. It’s canvas that is stretched out over the wood floor and painted. Often these were done in trompe l’oeil style to mimic tiles, marble, or other intricate designs. The floor cloth protected the floors from wear and tear and were less expensive than carpeting. This beautifully grained door is actually another reproduced trompe l’oiel design. I actually learned how to do this as a undergrad Set Design student. By utilizing layers of glaze and various brushes, an artist could make an inexpensive wood door look like a much more expensive wood. I have a bit of an obsession with inkwells. This one is silver and cut glass. The Russell House has a full compliment of furniture and accessories appropriate to the time period. Some are pieces which belonged to the original family, others are examples of items that are known to have been owned by the family. The intricate plaster molding throughout the house has been restored and paint analysis discovered the original color scheme. For many decades, historic house museums painted walls in muted colors and trim in white, reflecting modern tastes. As the preservation movement has become more scientific, details like this color scheme, unlike anything one would normally imagine, show us what was in style when the house was built. This is an exposure done on the back of a door. Layer after layer of paint was gently sanded away to show what the original faux graining looked like. A modern craftsperson then reproduced the original design, leaving this little sample so we can compare it to the original. I think they’ve done a stupendous job. 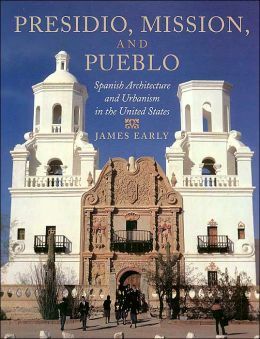 Released in 2013, this 400+ page work is impeccably researched and presented in an eminently readable manner. 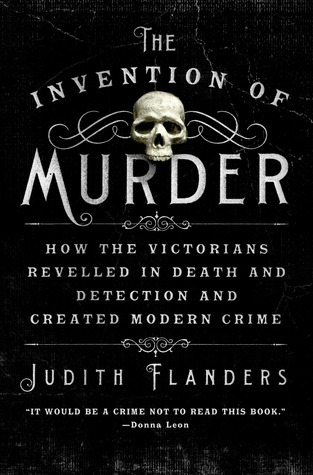 Flanders covers the vast time frame of the Victorian era (most of the 19th century) as pertains to crime in Great Britain. She tells stories of the rich and the poor, along with the newly rising middle-class. Gleaning insights of these male and female killers (or purported killers) from newspaper articles, broadsides, and theatre productions (as found in the official censorship records of the period), Flanders shares stories of murders thematically. She discusses the great hysteria that led to the “poison panic” at mid-century, the rise of murders as entertainment, court trials as grand theatre, and hangings are festive occasions, as well as the rise of the professional police force, especially the detective. 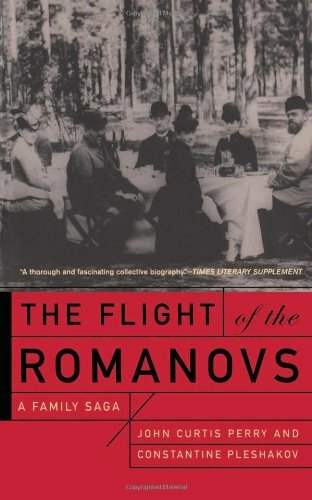 Most fascinating of all are the connections Flanders is able to make between a particular crime (or crimes) and great works of fiction, including most, if not all, of Dickens’ catalog. Some of the transitions between one crime story and the next feel a little forced, and there are times that she references a particular name in a previous or upcoming story in a way that the reader may have difficulty following, yet these are minor issues in an otherwise compelling narrative. It is apparent that Flanders did extensive research for this book but the effort is not a drag on the text. The tiny snippets of information each source provides have been woven together to tell a cohesive narrative that is better than fiction. Did I mention that I own a lot of books? Took some time this winter break to build bookcases. That’s 85′ of bookcase, 65′ devoted solely to books!